Heat things up on cool autumn nights with Shahir's recipe for the ultimate Warm Pumpkin Spice Cocktail. It tastes like a combination of apple and pumpkin pie — what’s not to love? On a small plate, mix cinnamon and sugar together and spread across the plate. Cut your orange in half and rim your glasses with the juice. Then, coat the rim of your glass in the cinnamon sugar mixture. 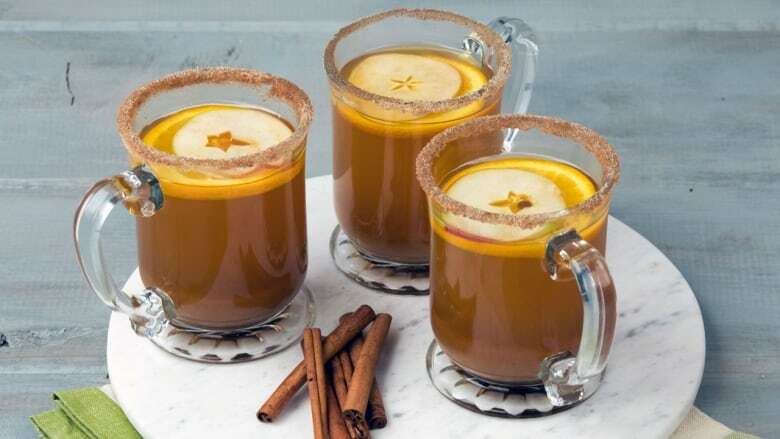 To each glass add 1 shot bourbon whiskey, 1-1 1/2 tbsp Pumpkin Spice Syrup, 1/2 cup hot apple cider, juice of half an orange and a splash of bitters. Stir with a cinnamon stick and enjoy!